How can an entire city be built with the road system under ground? Each district / skyscraper could be built independently. The roads could be standalone, possibly with low buildings on parts of the top. 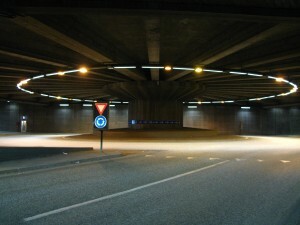 This would both reduce the load on the tunnel roof as well as let light down to the street. The pedestrian roads ought to be wide and strong enough to carry emergency vehicles. By doing this there is nothing that would stop such a city from being equally resistant to emergencies as downtown Denver or New York. 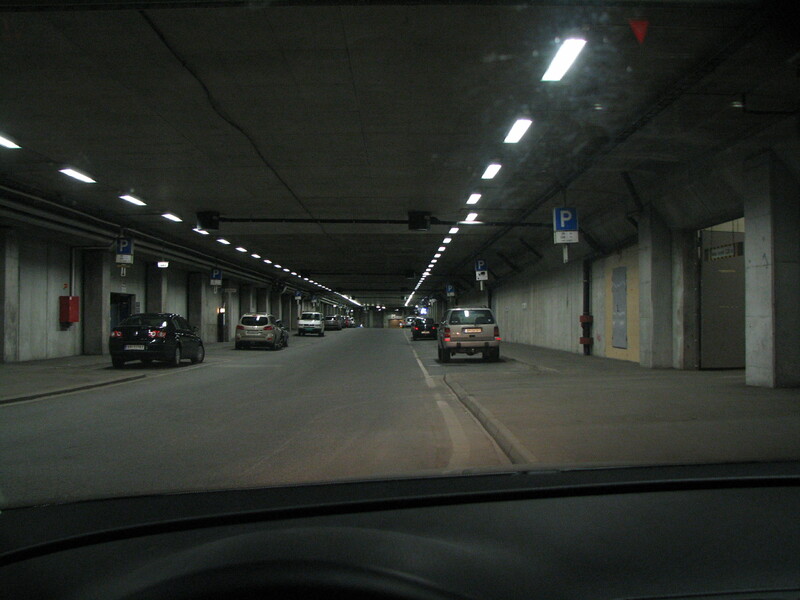 The underground road network would have to be as wide as a normal set of double or triple laned roads, but this would normally not be desirable for the pedestrian streets above. The buildings above ground level can consequently be pulled together, so that one facade rests on the mid-columns of the road below. To simplify maintenance water and electricity should have their own “roads”, that is instead of digging pipes and power lines into the ground this infrastructure should have its own tunnels.